CHATSWORTH, CA -- (MARKET WIRE) -- May 14, 2007 -- Pentadyne Power Corporation (www.pentadyne.com), the world's leading commercial manufacturer of clean energy storage systems using advanced composite flywheel technology, today announced it has received a follow-on order worth $4.5 million from Beaver Aerospace & Defense for an additional 100 Pentadyne VSS+DC systems with DX-A2 rating (certified for national defense use). This latest follow-on order from Beaver Aerospace is part of a procurement contract with Pentadyne to be the exclusive supplier of more than 500 clean energy storage systems that will be deployed in homeland security military defense applications during the next few years. This new order amounts to nearly double that of all previous Beaver Aerospace orders for Pentadyne flywheel systems. "I'm proud Pentadyne was selected to be the exclusive supplier of flywheel-based clean energy systems for energy recycling at vital national defense facilities," said Pentadyne President & CEO Mark McGough. "The superior performance and reliability of our VSS+DC clean energy storage flywheel systems over competing products was the overriding factor in Pentadyne being designated as the sole supplier in what we believe is the world's largest flywheel energy storage deployment program." Beaver Aerospace Program Manager Jim Diroff said, "We've installed quite a few of these so far, installing them is practically plug-and-play. They've reliably discharged and rapidly recharged flawlessly every time we've needed them." The Pentadyne VSS+DC stores energy kinetically instead of chemically, delivering stable, reliable DC voltage for energy recycling and power continuity applications. In these Department of Defense energy recycling applications, the flywheel system periodically absorbs regenerative energy and stores it until it is later reused. This is similar to the way hybrid vehicles capture deceleration energy and store it in chemical batteries, later releasing that energy to aid acceleration and minimize fuel consumption. An ISO-9001-certified company, Los Angeles-based Pentadyne designs, manufactures and markets clean energy storage systems using a high-strength carbon-fiber-composite flywheel cylinder. Combined with uninterruptible power supply systems, Pentadyne products ensure power quality and continuity for mission-critical operations at commercial, industrial, healthcare and military facilities. Award-winning Pentadyne flywheel systems provide an economic, long-lasting, low maintenance, compact and environmentally responsible back-up power solution without any of the hazardous chemicals, fire risks or other safety concerns common to UPS batteries. 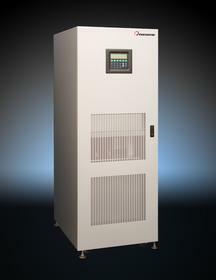 Pentadyne systems are sold by the world's leading UPS manufacturers. About Beaver Aerospace & Defense, Inc.
Beaver Aerospace & Defense (www.beaver-online.com), a subsidiary of Phillips Service Industries, provides ballscrew and actuator products for a variety of commercial and military aircraft as well as missiles. With eyes trained on the new and innovative, while maintaining a healthy respect for what has been proven, Beaver's engineers work with the latest design tools to create optimum ballscrew and actuator configurations for any application.